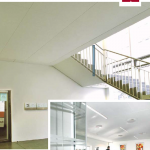 A comprehensive range of aesthetically pleasing durable tiles with a micro-textured surface, strong edges and excellent acoustics, available in a wide variety of sizes and edges which meet the highest fire safety and sound absorption regulations. 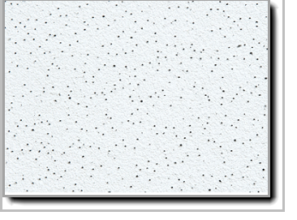 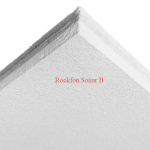 Sonar B is a smooth surfaced ceiling tile with a neat V joint that is suited to very noisy restaurants, offices, corridors etc. 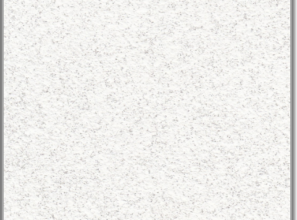 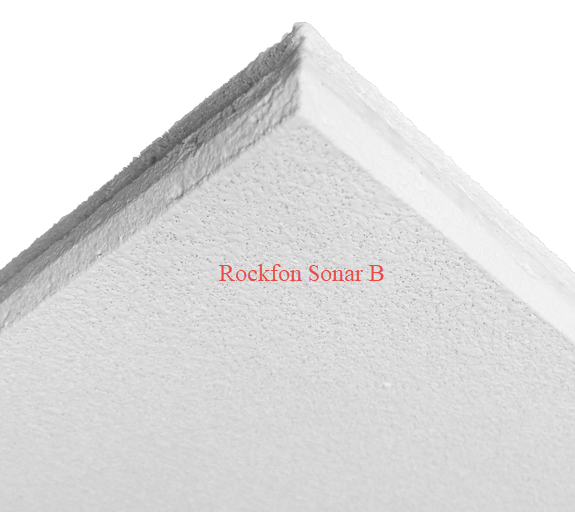 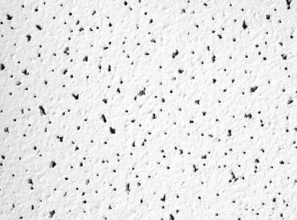 this tile can be adhesive fixed directly to plasterboard or concrete surfaces making it a very affordable solution to your problems Sonar is ideally suited for use in communal corridors, lobby areas and stairwells where it can be used to great effect to allow compliance with the sound absorption requirements. 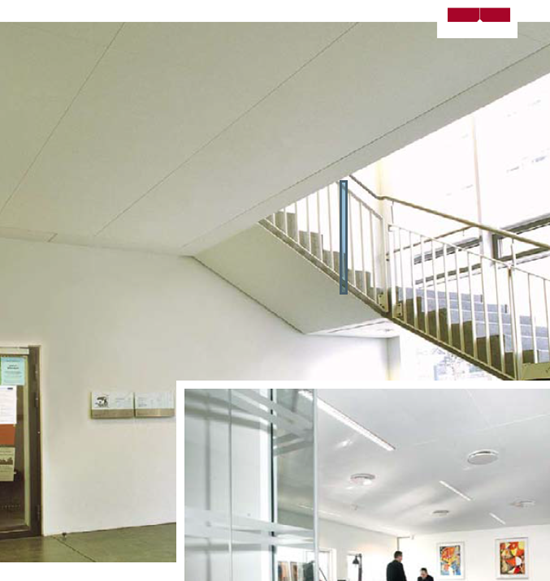 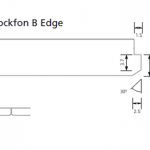 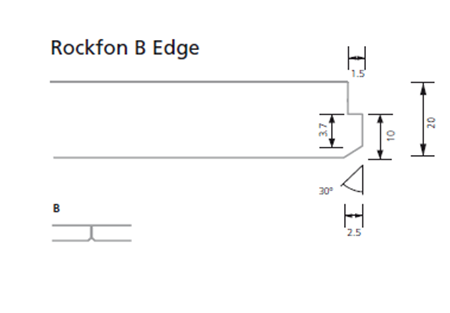 The use of the B and C edge options ensure that sound absorption is obtained with the absolute minimum reduction in ceiling height which can be as low as 20mm – giving you all of the sound absorption you need without holes, slots or fissures.